About a fly pattern from the outside facade of Williams-Brice Stadium sits a luxurious line of alternative tailgating that makes South Carolina’s gameday scene stunningly different than any other in the country. The high-end fans don’t tailgate under tents in Columbia. They do it in cabooses. And there are 22 of them, all flashy garnet red ones that sit in a row but never move. They just sit there all year long, but they come alive on fall Saturdays whether the Gamecocks are playing next door or on the road. They are quite a sight to behold, and provide quite the experience. The path for South Carolina’s famed, stand-still trains was paved in 1990 by Columbia businessman Ed Robinson, a real estate developer who saw the future not in Gamecocks football but in Gamecocks tailgating. 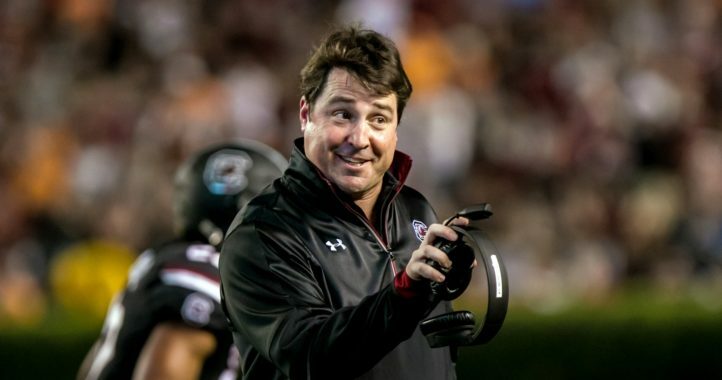 He wanted South Carolina fans to have the best parties, even if they didn’t have the best teams. Robinson and a partner bought 22 cabooses from Illinois Central Railroad along with a railroad spur from transportation supplier CSX. The spur was placed right along Williams-Brice, just to the southeast, and the cabooses were put on the track, which is near the real train track that bisects the campus where the cars actually, you know, run. Meanwhile, over in Cockaboose Country, the cars sit still, and the fans sit inside them — and party hard on gameday. The cabooses are privately owned, and at the birth of this tailgating twist they sold for only a few thousand dollars. But according to that Times report, one reportedly went on the market for $300,000, which probably makes the “modest” annual dues and state and local taxes seem like nothing. The 270-square-foot cars are maintained by a private association not affiliated with South Carolina. And there are knockoff cars farther from the stadium, which brings to mind the saying about how imitation is the sincerest form of flattery. 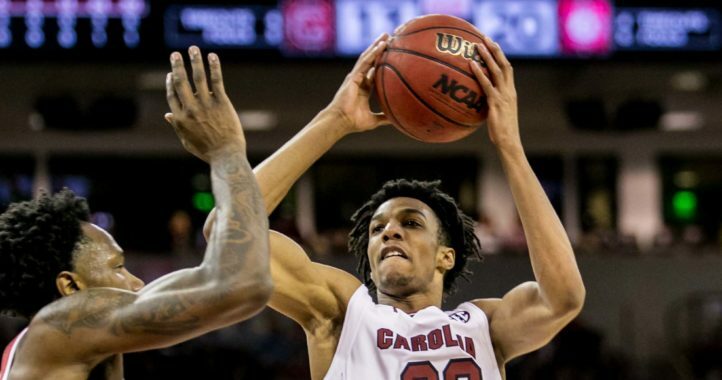 It also proves that the Cockabooses are an accepted and celebrated tradition at South Carolina, that they are uniquely Columbia. South Carolina’s revolutionary tailgating nuance was copied by Louisville, whose dominant color is also red. But there’s that saying again about imitation and flattery, and of course there’s nothing like the original. The 22-car line must be maintained though, treated with respect amid the season-long revelry that goes on inside every Saturday, because the owners can hang in their cabooses for road games, too. But there are a few rules for the fortunate ones who enjoy the cool view from the perches beside Williams-Brice. The most important is that while owners have free will to decorate the inside in their own unique way, and they indeed do that, the outside of the cars must not be altered, with “South Carolina Cockaboose Railroad” plastered across in white against that brilliant, garnet red. In the middle of the outside of each car is a cutout of the state of South Carolina with the Gamecocks’ logo mounted to the side. “It’s the perfect blend of football, hospitality and luxury partying,” wrote ESPN.com’s Wayne Drehs. And what makes it all the more impressive and unique is that it happens at a school that doesn’t have a strong winning tradition. Before Steve Spurrier arrived, their all-time record was nine games under .500. The Gamecocks are just 8-12 all-time in bowl games. They’ve never won a national title. Heck, their two claimed conference titles precede their entry into the SEC — by over two decades. But that doesn’t matter in Columbia, where the loyalists pack Williams-Brice every year and for the past quarter-century have done the same next door along those row of Cockabooses. They have air-conditioning and heat, cute kitchens and, of course, bathrooms inside those luxurious tailgating cars, as well as charming, canopy-covered rooftops to gaze out from as you sip your choice of beverage while the food simmers below. When the football-crazed cabooses opened for business, the first 20 reportedly were snatched up in 48 hours, and there have been few up for sale ever since. The Gamecocks have hardly ever had the best of anything on the football field. But these little cars that don’t move an inch have taken the fan experience in Columbia to elite levels. Score one then for the grinders of the SEC East, who have been coached in recent years by elite names like Lou Holtz and Spurrier but still are in the long shadow cast by rival Clemson, which is coming off a national runner-up season. But while Clemson has “The Rock” and “The Hill,” the Tigers can’t possibly match those snazzy cabooses. The trains that don’t move a lick have had a stunning reach that’s gone over oceans, to England, where the Daily Mail picked up on South Carolina’s “railgating” and displayed pictures of the caboose amenities such as built-in stereo systems, big-screen TVs and chandelier lighting. But the purpose of Robinson’s creation was to give South Carolina football loyalists the best of something during their Saturday experience. No doubt, to be on Cockaboose Row, you have to have deep passion and deep pockets, as Robinson sought out big school donors who were lawyers, doctors, dentists and real estate developers like himself to get the “train” rolling. The Original 22 helped give the outside of the cabooses a much-needed paint job, then went to work on decorating the inside.